This beautiful wool was used by Vogue Knitting/Winter’98, when they reproduced their first instructions for an Aran sweater. The original 1957 model was knitted by EZ. An excellent choice for pullovers and cardigans, including cabled garments; I find myself turning to this wool over and over again. The average adult sweater takes 6 skeins. Material: 100% Wool Weight: 4 oz. skein Yardage: 272 yards Approx. Gauge: 5-6 sts. to 1 inch. 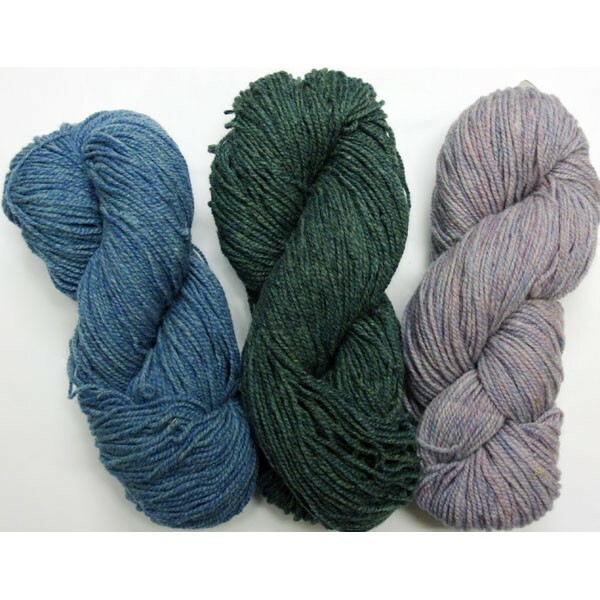 Price: $7.10 per skein. Choose the quantity for each color you wish to order and click Add to Cart at the bottom of the page.